When it comes to costly roof repairs and even more pricey replacement, roof leaks are almost always main cause for that. Your roofing system is the element of your home that receives the most punishment from Mother Nature and is not so uncommon for roof to get damaged first when it comes to home’s mechanical and structural elements. Damaged roof can cause so much more damage than standard wear and tear on your home’s frame, flooring or some other interior problem. If there is a leak present in your home, that will have a catastrophic effect on your home and its element if you don’t have it repaired on time. We have already told you that the best way to protect your home and your belongings is by taking a proactive action in form of roof repairs and roof maintenance. Keep in mind, just because your roof is in good shape at this moment it doesn’t mean that you should postpone regular roofing inspection or maintenance work. Trust us that now is the best time to perform maintenance of your roofing system while it is in great condition. Roof leaks can often go unseen before they cause any visible interior damage and destroy roofing support structure. Just a single leak can cause you thousands upon thousand dollars worth of damage and that is why it is important to regularly inspect your roof and perform maintenance works. Dripping of a leak can sometimes go by undetected for month or two and that allows the leak to destroy everything on its way, including wall framing, paint, roof insulation and it can easily lead to dry rot and mold growth. The moment you notice visible leak signs like wet carpets, stained walls and ceiling, chances are that there is a whole lot more damage that is not visible. Besides contacting a roofing contractor to repair your roofing system, you should also remove all damaged interior elements and call a mold removing professional to get rid of the mold because mold can cause a various health problem. If you are a business owner, roof leak above a storage or similar area that is not that frequently monitored and inspected can cost you tens of thousands of dollars. 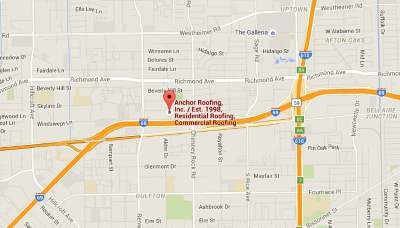 We hope that you understand the importance of keeping your roofing system in the best condition possible.